QuantumSense is an artificial intelligence company founded in Canada and a successful graduate of the machine learning track of the CDL program in Toronto. It provides a top semantic search that works on the sentence level to give a more accurate and faster search for ideas or text passages in documents or archives of any business type. The solution can be applied to greatly improve workflow as well as developing sentiment analysis and fundamental analysis tools in finance and social media. It has the capabilities to analyze unstructured data and to make better predictions in real-time. QuantumSense are around 1 year into their development. The current product on the market is the classical version deployed on the Amazon web service — it’s the first that is both compositional and distributional, allowing it to give top search accuracy. They have had 1 paying client for about half a year in the Fintech space, a SaaS B2B, and have also realized a proof of concept in the insurance sector as well. The team also has 3 letters of intent and several pilots within the insurance, fintech and AI spaces. It means their semantic search solution is permeating numerous areas of the tech industry. Now, they’re eager to expand their reach further through Holt. Most recently, QuantumSense had the opportunity to participate in one of their largest pitch contests to date at the Insurtech North event, held in Gatineau, Quebec. With over 200 industry experts and investors in attendance from the US and Canada, the experience was a huge success for QuantumSense, gaining many leads and subsequent exposure from the event. QuantumSense are graduates from the CDL program in Toronto where they first had the pleasure of meeting Sergio Escobar, a Holt Accelerator advisor. He was the one who suggested the team apply to the program, and saw the great potential in their product. Marco: In terms of InsurTech, I’d love to get to the stage where claims are submitted and payouts are received in real-time! That systems could detect what happened to you, compare and learn from similar cases in the past and be able to make accurate predictions about risk factors, and even make recommendations regarding medical treatments and checks you should undergo to prevent it from ever becoming serious! How do you blow off steam after a hard day’s work with QuantumSense? What is a fun fact about QuantumSense outsiders should know? 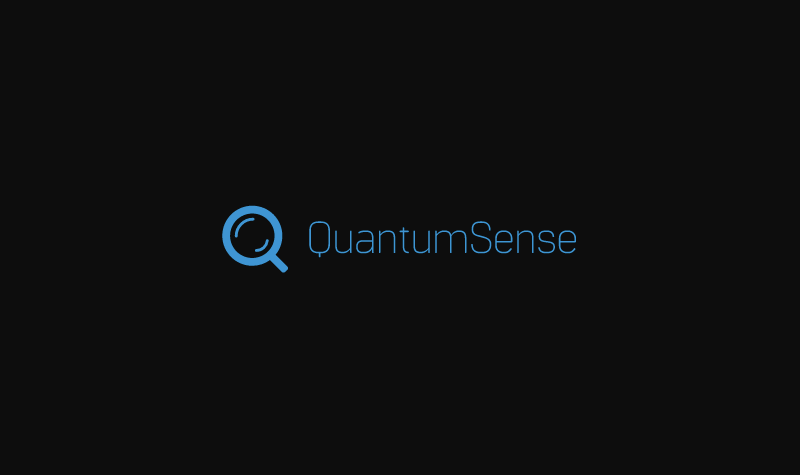 Marco: Did you notice the Q in the QuantumSense logo is actually a magnifying glass depicting the search tool? !